It’s day 4 of the 7 Days of Easter Printables for Kids and we’re already more than halfway through! The file includes three pages of four counting cards each. Page one covers numbers 1-4, page two has numbers 5-8, and numbers 9-12 are on page three. Each card has the numeral and a matching number of bunnies on it. Print out one page or several pages depending on your kids’ skill level. Laminate them and cut them apart at the solid lines. 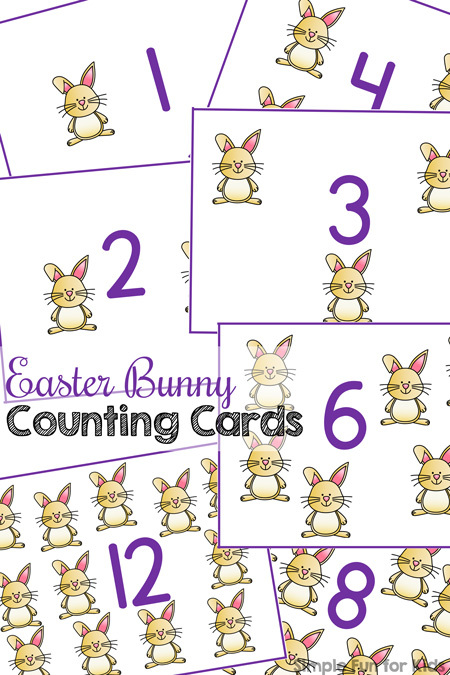 Here are some ideas for using the counting cards: Count the bunnies with your toddler or preschooler. 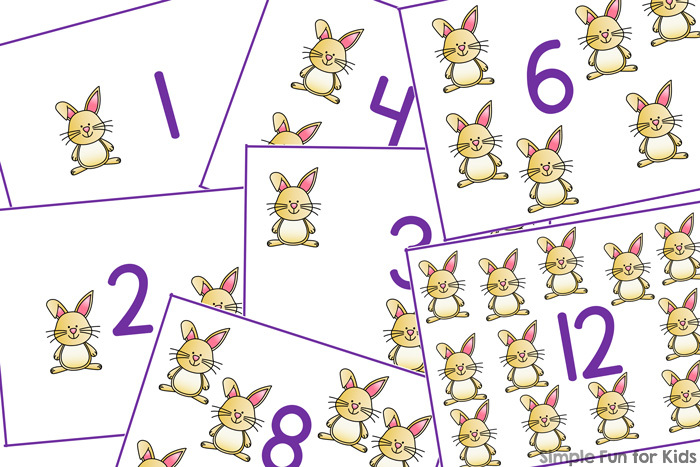 Place a manipulative on each bunny as you count to reinforce 1:1 correspondence. Use them as flash cards. Practice number sequencing. Use them to build larger numbers. Practice skip counting by picking out certain numbers. Or find another way to work on your current learning objective. Do you like the clip art?